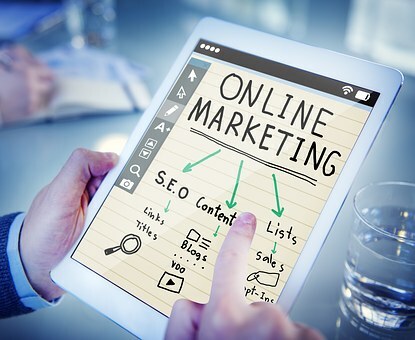 It’s one thing knowing that you need to embrace online marketing to grow in today’s world and another understanding the online marketing tactics that are best suited for your industry. In this post, we take a look at digital marketing strategies that generate results with a focus on how citizenship by investment firms can utilize these strategies to successfully market their services. The design makeup of your website is a very important part of the customer acquisition process. While it is important to ensure that it is aesthetically pleasing, the conversion aspect to design shouldn’t be sacrificed on the altar of beauty. First of all, you should bear in mind that your website is the focal point for all your marketing efforts. Most visitors from social media platforms, Google search, and pay per click campaigns land on your website or visit your website before making a buying decision. Your websites should be simple and user-friendly so as not to distract your visitors. So it is important to make sure that it is optimized to capture their attention and lure them into taking decisions that may benefit your firm. More importantly, your website should have a clear call to action (CTA) placed strategically so that customers. So work with your website designer and your content strategist to identify the best sections of the website to embed CTA buttons or links. If you read our post on how educational content can be beneficial to citizenship by investment firms, then you already know that apart from being cost-efficient, content marketing is an effective long term marketing strategy generating quality leads at 62 percent less than traditional marketing tactics. In the same vein, webinar has proven to be an effective marketing strategy for firms in the consulting and financial services industries where investors seek absolute clarification before trusting a consultant. Hosting a webinar allows you to talk to potential clients as if you are with them. This can be a good way to put a human face to your marketing and establish trust. The best thing about this content distribution channel is that it allows for active engagement with prospects and businesses in consulting and financial services see as high as 50 to 61 percent participation rate. Creating a conversion-focused and aesthetically pleasing website are only but one aspect of website optimization. To make sure that you are not losing clients, make sure that your website is optimized to work on both desktop and mobile devices. These days, it is common to see websites that are easily navigable on desktops but lags or appear abnormal on mobile phones. With more than 50 percent of all internet traffic coming from mobile devices and Google giving preference to mobile-friendly websites, it will be a big marketing mistake to neglect either desktop or mobile users. So make sure that your website is optimized to look good and perform just fine on both device types. In addition, your website should be optimized to load fast. People have a low attention span and often bounce off if a website is taking time to load. Social proof is a very powerful marketing technique because people tend to trust recommendation and reviews from peers more than online ads. This strategy works well for immigration consultants because investors seek validation before committing to such huge financial decisions. If you have satisfied clients that will be happy to recommend you to others, why not ask them to leave 5-star reviews on your firm’s online profiles – Google listing, Facebook page, and even your website. Testimonials can also help you convince prospective clients that your existing ones are happy with your services and that they can entrust such big decisions into your hands. If your website has been featured on a well-known platform or you have won awards in your industry, including the badges can also help you establish credibility. While there are a lot of online marketing platforms out there, the Google platform for advertising is still the king, especially for business-to-business platforms. Apart from affording advertisers the opportunity to target online users based on their overall web behavior, Google ads allow you to determine your marketing budget and how much you are willing to spend for every action taken by a prospect. In addition, Google ads produce an average return of $2 for every $1 spent on the platform – When the ad is well-optimized. This result is consistent across many industries including immigration services. So if you are looking to generate quality leads for your immigration services firm, Google ads is a viable marketing strategy for you. There are a host of other marketing tactics that we have implemented to produce astonishing results for clients across different industries. Some tactics include utilizing user-generated content to drive engagement, using social media ads to increase sales, using Instagram story ads to boost lead generation and many others. However, the four tactics that we have highlighted are particularly effective for businesses in consulting, immigration services, and the financial sector. So, if you handle your handle your company’s digital marketing tasks, incorporating these tactics will help you generate more quality leads for your firm. On the other hand, if you are looking for a trusted digital marketing agency to help you, our team of passionate digital marketing strategists will help you achieve the best return on your digital marketing spend. Feel free to schedule a quick conversation with us so we can understand your business needs and how we can help you grow.